Today is World Book Day (in the UK). 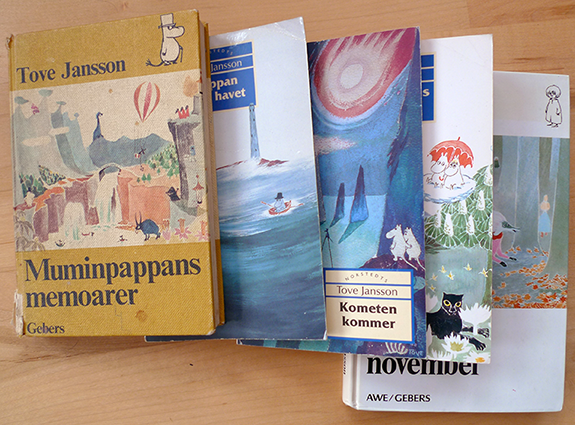 Roy Gill included me in a chain of posts on favourite childhood books. 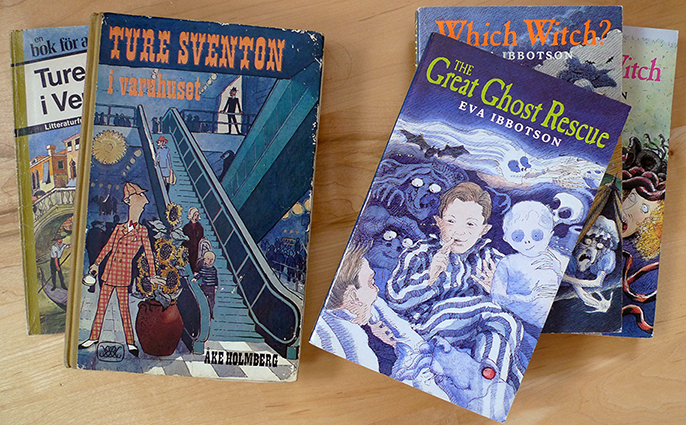 These are the books that fascinated me as a child, and still influence the types of stories that I want to write and read. How could I not share? 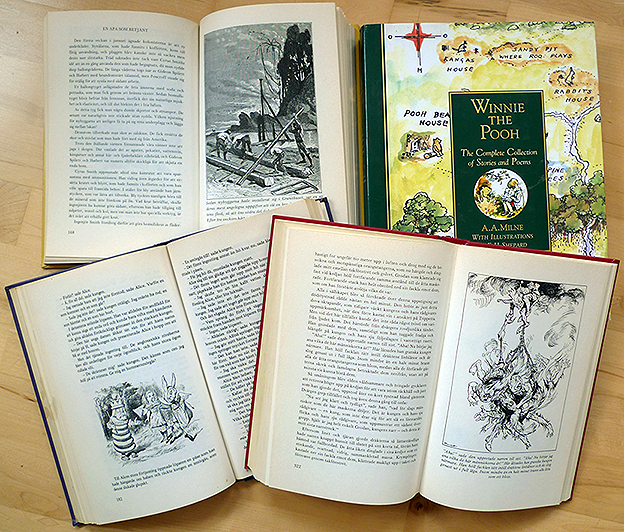 I still dip into the books that I loved as a child and shipped several of to Scotland, or bought new ones when the original language was English. 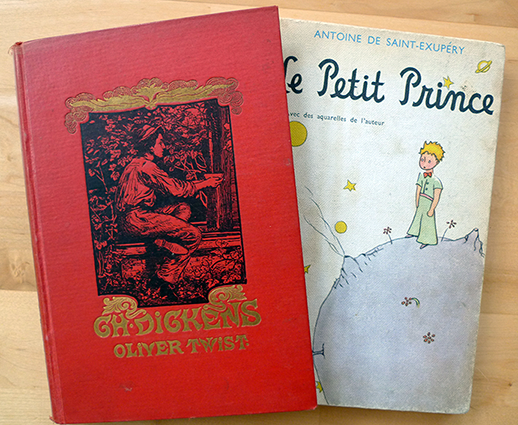 A couple are missing: my H. C. Anderson, for example, and the picture book of The Happy Prince. (I didn’t like the pictures, but I loved the story.) A couple of others are missing from the pictures below. My The Dark is Rising and Narnia boxed sets are in the attic awaiting a move to a bigger flat, and I can’t find Vem skall trösta Knyttet?. There are other important books missing from my current bookshelves. We had two great big books with images of animals and birds, and a couple of good dictionaries (both incomplete). I’d pick one and spend hours reading random entries and looking at the pictures. 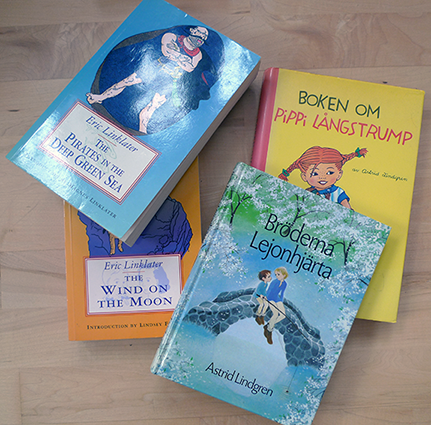 Eric Linklater and Astrid Lindgren wrote about more interesting worlds. Friendly witches and private detectives with hearty appetites. I write characters like that now. 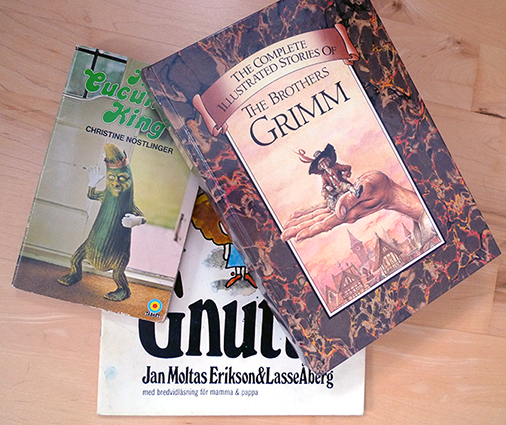 Nöstlinger, Åberg and Grimm have nothing in common except great stories and interesting perspectives. There’s something about that picture. I don’t know what it is… shiver. It’s not by HP Lovecraft is it? The Cucumber King teaches important lessons about democracy through the medium of fictional cucumber people. I think I was probably brought up a republican, but this book may have influenced my staying that way. Heh, it was hastily typed. There’s something vaguely horrific about a cucumber person. And now that you’ve told me what the story was about I suspect I was … right.